After a three-year restoration project at The National Museum of Computing, the Harwell Dekatron (aka WITCH) computer has been rebooted to become the world's oldest original working digital computer. WITCH stands for Wolverhampton Instrument for Teaching Computation from Harwell and it used in computer education until 1973. 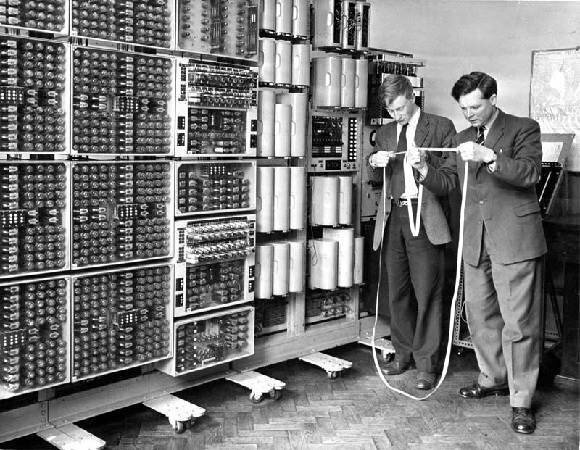 In this image Peter Burden and Frank Hawley examined the paper tape rather intently. Read the full story on Computer Weekly here.